Living by the water is a dream come true for many people, and those dreams are lived out in communities such as Prince Rupert. The last thing you want to have ruin your dream is some sort of unprovoked crime. 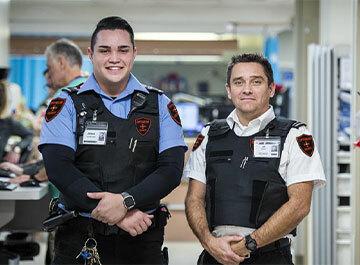 With Optimum Security, the residents of Prince Rupert can enjoy their dream with the peace of mind that comes with professional security services. Prince Rupert is a picturesque community that offers a little bit of something for everyone. These days, it pays to not let your guard down no matter where you live. Optimum Security can take care of all of your home or business security needs, and let you get back to enjoying the good life. Good security starts by creating a strong presence that fends off criminals. The security guards and mobile security services officers of Optimum Security wear easily identifiable uniforms and do regular patrols to create that presence. Each of our officers is highly trained and equipped with everything they need to diffuse any situation. We use our two-way communication systems and video surveillance cameras to make sure that we are always where we need to be. Our mobile patrol officers can be seen throughout your office complex or other type of commercial structure on a constant basis. Our job is to prevent vandalism, parking lot crimes, and other incidents that are common to commercial properties and special events. All of our officers are trained to work closely with Prince Rupert police officials to make sure that every situation is handled properly. We can give you extra eyes with our surveillance cameras, and we can give you plenty of warning with our smoke, heat, fire, flood, and carbon monoxide alarms. We can set up property intrusion detection services and two-way communications that will help you to detect break-ins, and then contact our security experts 24-hours a day. Contact us today and find out how much peace of mind you can get when your Prince Rupert property is the capable hands of Optimum Security.